All of these were good, but only the Amphora Zin made this list! It’s been a busy stretch, and I didn’t get a chance to post my favorite wines from February. Though it’s been hectic, I have still managed to find time to enjoy a number of good wines. In fact, I have 11 I’d like to share with you, plucking out favorites from February and March. I had this post ready to go with ten wines, a nice round number, but came across a photo of another one I thought I should share. Hope you don’t mind the extra bottle! This list isn’t totally comprehensive. 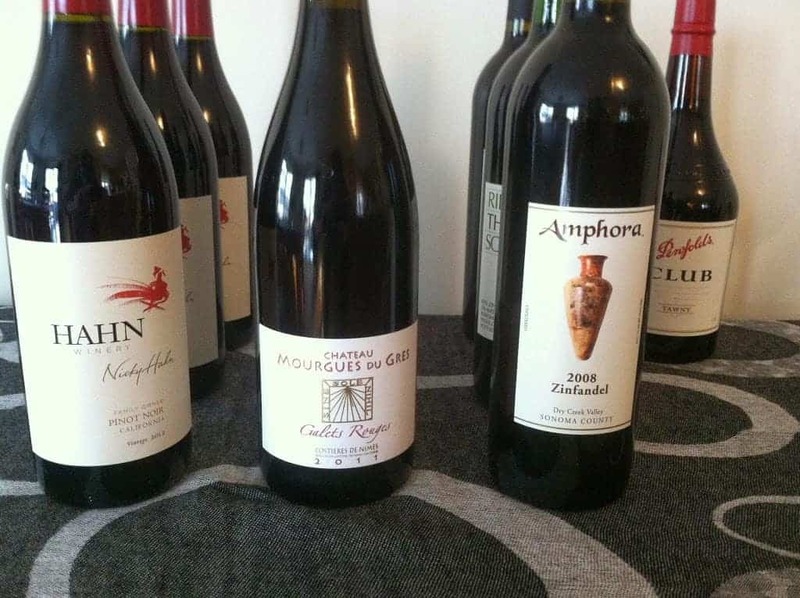 I definitely enjoyed some great wine during the past two months not covered in this roundup. For instance, one meeting during this period entailed sharing a bottle of 1998 Turley Zinfandel. But alas, I didn’t get the particulars of the vineyard down on that one, so will keep it off the official list here. As I was pulling this post together, I noticed that most of the wines I was suggesting go particularly well with certain dishes, so will mention the food pairings and link to recipe posts where applicable. In a number of cases, I simply noted or recalled that the wine was very good, without further notes. Consider this more a wine shopping list rather than a detailed critique. If you do try one of these, I’d love to hear your thoughts, as well as tips on your recent wine finds. 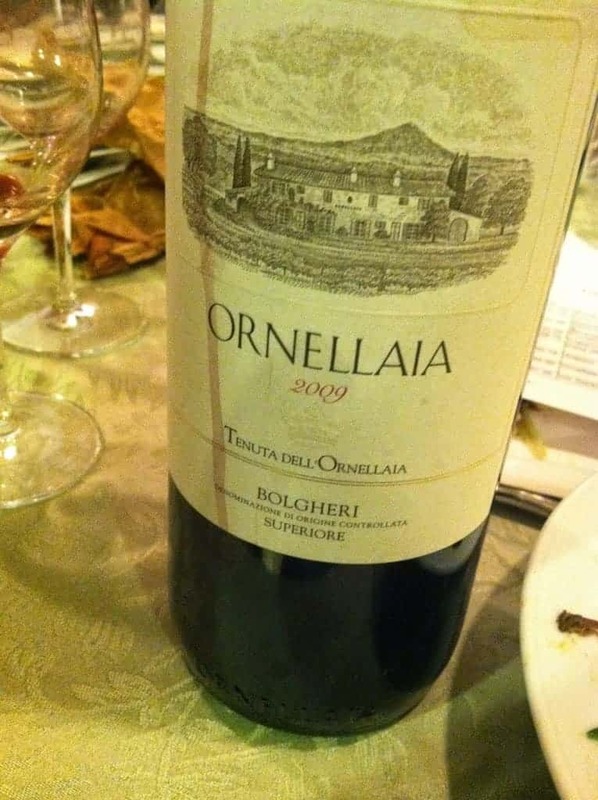 2009 Tenuta Dell’Ornellaia Bolgheri Superiore We had a wine club gathering focused on Super Tuscans back in February. There was a great lineup, described more in this post along with my Tuscan Beef Stew recipe, but for this roundup I’ll just mention this bottle. I picked it as my favorite during a blind tasting we did, to later realize it was a $200 bottle! If you’ve got income your looking to dispose on a great bottle of wine, this could be a good choice. If you’re a bit more on the frugal side, read on! 2008 Il Novecento Riserva #Chianti black cherry fruit, nice smooth finish, good match for our Tuscan Beef Stew. Certainly would be a good match for Italian classics like spaghetti and meatballs, too, or this Super-Tasty Meat Sauce. 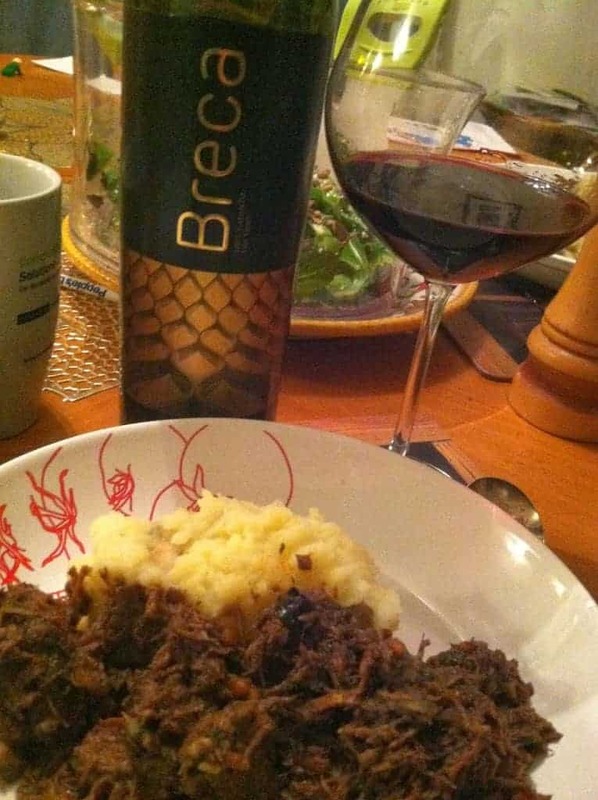 2010 Breca Old Vines Garnacha I was encouraged to age this bottle for awhile when I got it a year ago. I did manage to do so for awhile, but when Open That Bottle Night rolled around in late February, it seemed like a good time to try it. I got forest floor on the nose, taste of cassis and blackberry. Benefited from about half an our of decanting. Parker gives it 94 points, but it can be had for under $20. Definitely a good deal! And after trying several Chiantis with the Tuscan Beef Stew I made, it was fun to mix it up a bit with the leftover stew. 2007 Finca La Estacada Another good value from Spain, for under $20. This is a blend with 50% Tempranillo, 20% Cabernet Sauvignon, 15% Merlot and 15% Syrah. I get violet on the nose, black pepper and cherry taste. Writing this up reminds me to pick up another bottle of this one! 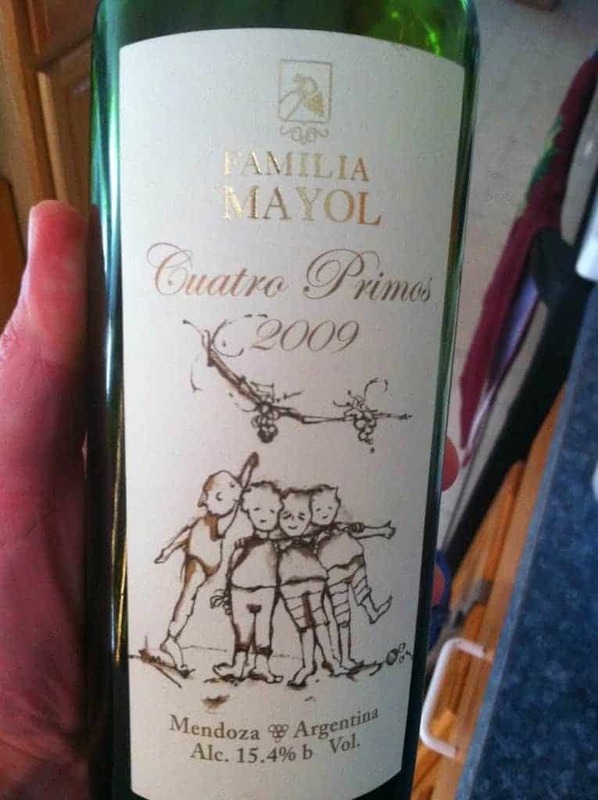 2009 Familia Mayol Quatro Primos Malbec is the lead grape in the blend from Argentina, but it also features Cabernet Sauvignon, Bonarda and Syrah. This has aged enough to take the edge of the tannins, rendering a complex, well-structured wine. Stood up nicely to our Roasted Sirloin with Chimichurri Sauce. 2008 Amphora Zinfandel from Sonoma’s Dry Creek Valley. This big, robust red was paired with pork tenderloin at our Almost Spring Tasting event, and worked quite well. Warre’s Otima 10 year Old Tawny I don’t know much about port, but I could still appreciate that this was a very good bottle! Friends brought this over for our Almost Spring Tasting, and this went wonderfully at the end of the evening. $15 AND UNDER: A number of the wines above are pretty affordable, but I’m especially interested in finding and sharing very good wines that come in at or under $15. Here are my recent favorite finds in this category. 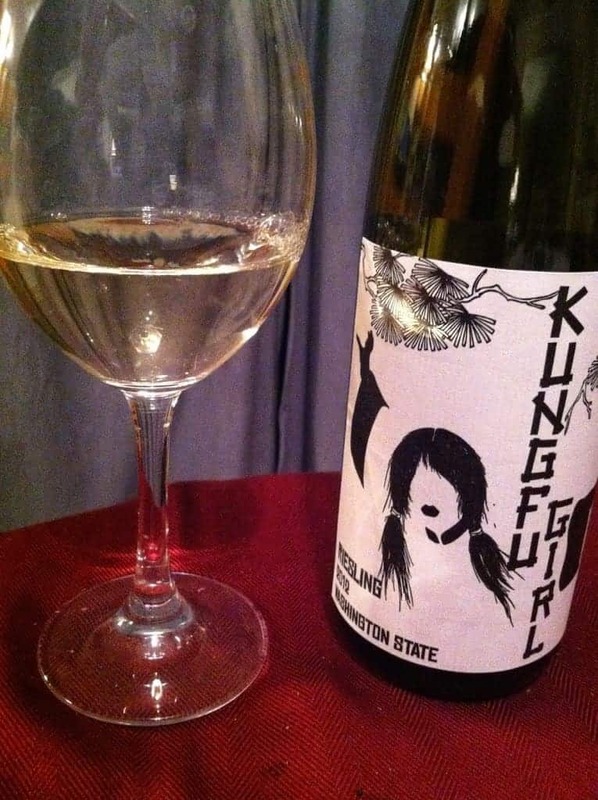 2012 Kung Fu Girl Riesling This Riesling from Washington State features nice apple fruit, bit of sweetness but not too much. Riesling is a great, versatile food wine, but it’s especially good with spicy food and Asian cuisine. 2011 Tenuta di Gracciano Della Seta Rosso di Montepulciano. Go ahead, try and say that 5 times fast! This was suggested to me as a great wine for pizza and it didn’t disappoint. This one has more finesse than one would expect from a $15 bottle, but still has a touch of that rustic Italian red taste that goes well with pizza. 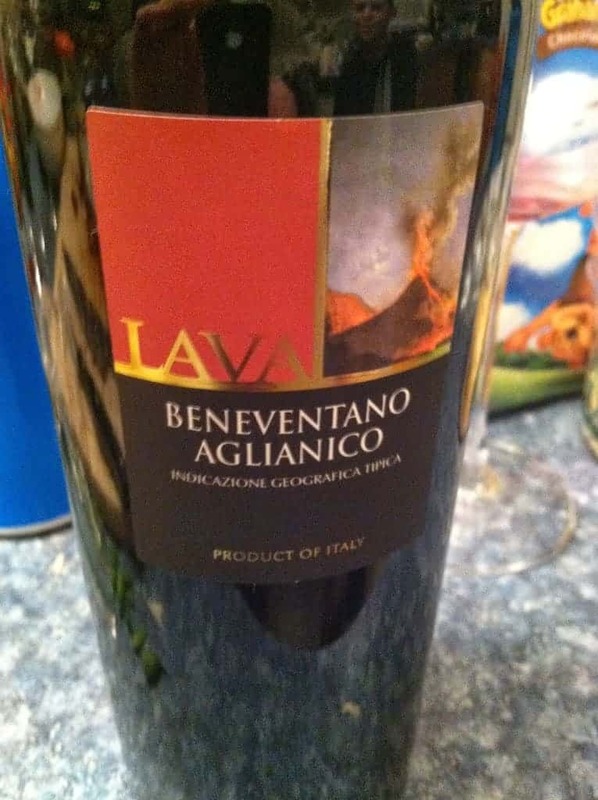 Lava Beneventano Aglianico Of all the wines in this post, this is the one you’ll find poured most often at our house. You can’t do much better for around $12 per bottle. Lush fruit, smooth finish, drinks like something twice the price. Great with pizza. Gets its name from the volcanic soil its grown in, from Italy’s Campania region. This one and the Grillo below are the most recent vintages available, I think it’s the 2012 and 2013 respectively, but I didn’t get that down in my notes. Fondo Antico Grillo Parlante, made from the Sicilian white grape Grillo, has a nice fresh crispness that worked well with the raw shaved asparagus dish I like to serve. I also got a bit of salinity in this–perhaps from the vineyard’s proximity to the sea? Always looking for good wines to try, especially when they’re a good value. Thanks for the recommendations!